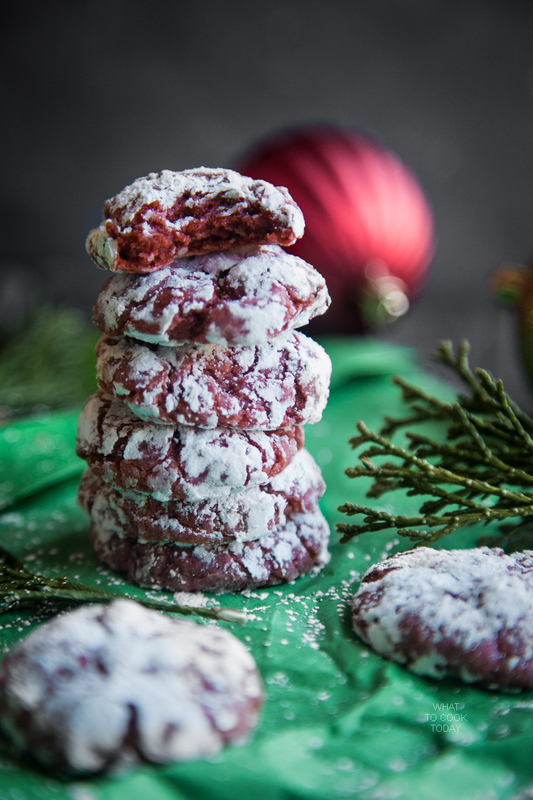 These soft and gooey red velvet cream cheese crinkle cookies are truly the best I’ve ever tasted. Love the softness and bold flavors in every bite. Every year I try to bake some Christmas cookies. Not that I’m crazy about eating cookies. I won’t deny them, but I never really crave for cookies or sweets. I have heavy savory tooth if I haven’t said that enough already! But, Christmas simply is not complete without some sort of cookies and/or treats making, especially with two young children on board! 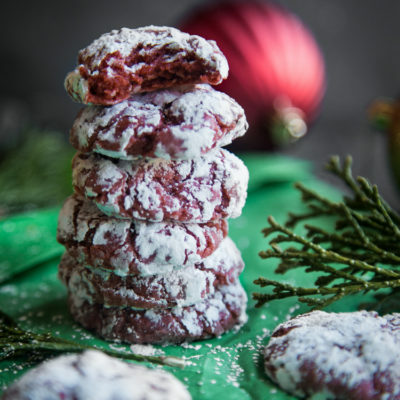 These cookies are so soft and gooey and not too sweet. Which I really like. The taste of cream cheese is bold enough and I can also taste that hint of cocoa in the background! It’s just so perfect! My kids kept asking for them. Store them in an air-tight container (make sure it’s really air-tight) at room temperature for 3-4 days. This will help to keep the cookies fresh longer. For longer storage, I would suggest placing them in the freezer bag and freeze them. They can be re-crisped in the oven at 425 F for 4-5 minutes.